Background/Purpose: MTX has become the cornerstone in treatment of many rheumatologic disorders including rheumatoid arthritis and psoriasis. Although MTX can have a profound impact on disease management, and is generally continued as lifelong therapy, the feared potential for hepatotoxicity can result in early discontinuation of the drug. Unfortunately, liver function tests demonstrate a low diagnostic accuracy for detection of fibrosis with only a 38%. The purpose of our study is to establish the prevalence of liver toxicity in patients on MTX therapy at our large tertiary hospital setting and to identify characteristics of patients who are more susceptible for hepatotoxicity while on MTX therapy. Methods: Retrospective cohort of all patients on MTX therapy for any rheumatologic disease including rheumatoid arthritis and psoriatic arthritis, in the in-patient and out-patient settings at NorthShore University HealthSystem, a large tertiary health system, were taken into analysis between January 1, 2006 and December 31, 2016. Out of these approximately 5,000 patients, we screened for patients who had a liver biopsy and/or transient elastography testing done. Variables we looked at included age, gender, liver function tests, cumulative dose of MTX, CKD, history of hepatitis B or C, triglyceride levels, diabetes mellitus, and alcohol use. Results: Out of the large number of patients who have been on methotrexate therapy (~5,000 patients over ten years of treatment), only 1% underwent further work-up for suspected liver disease by performing a liver biopsy and/or transient elastography (FibroScan). From these 48 patients with suspected liver disease, liver biopsy and/or FibroScan revealed 26% had steatosis, 14.4% had fibrosis, 13% had NASH cirrhosis, 34% were normal findings with no liver disease, 5% had acute hepatitis, 2.6% chronic hepatitis, and only 5% had methotrexate associated cirrhosis. Conclusion: Our findings demonstrate a very low prevalence of MTX associated hepatotoxicity in the rheumatologic patients. Less than 3% of patients had persistent transaminitis on MTX therapy, and even a smaller percentage underwent follow-up imaging with a liver biopsy or FibroScan. Based on our results, the likelihood of developing liver damage on MTX treatment is extremely low, and careful consideration needs to be made before potentially prematurely discontinuing this treatment for elevated liver function tests. Patients more susceptible to liver disease included increased BMI, diabetes mellitus, and elevated triglyceride levels, all at increased risk of fatty liver disease and NASH cirrhosis, consistent with the literature. Disclosure: E. Pahomov, None; Y. Belopolsky, None; A. Ali, None; R. Woodrick, None. Pahomov E, Belopolsky Y, Ali A, Woodrick R. The Prevalence of Methotrexate Associated Hepatotoxicity in a Multi-Hospital Health System [abstract]. Arthritis Rheumatol. 2018; 70 (suppl 10). 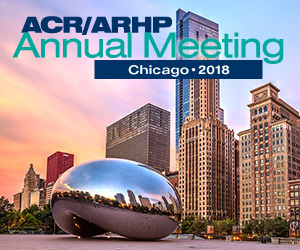 https://acrabstracts.org/abstract/the-prevalence-of-methotrexate-associated-hepatotoxicity-in-a-multi-hospital-health-system/. Accessed April 19, 2019.